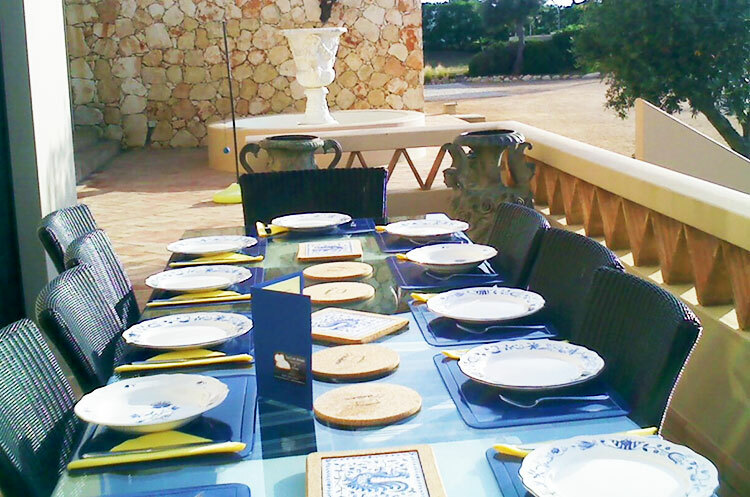 Are you planning a special dinner party in Algarve but don’t want to spend hours cooking? Our private catering services are available for lunch or dinner with our "A' la carte" menus, BBQ, Canapes & Finger food, traditional Portuguese food experience and the new 6 courses wine pairing dinners;for an exciting choice of dishes combining the freshness of the ingredients and surprising flavors with a light and modern cuisine: "Healthy & Veggy"
How many you are, required date and villa location. Have a look to our menus and let us know your choices as well as any dietary requirement, alternatively we can send you some menu options. Once the menu is defined we will quote it. If required, we can also provide any kind of table ware and furniture such as tables, chairs, china, cutlery, glasses, table cloths etc.